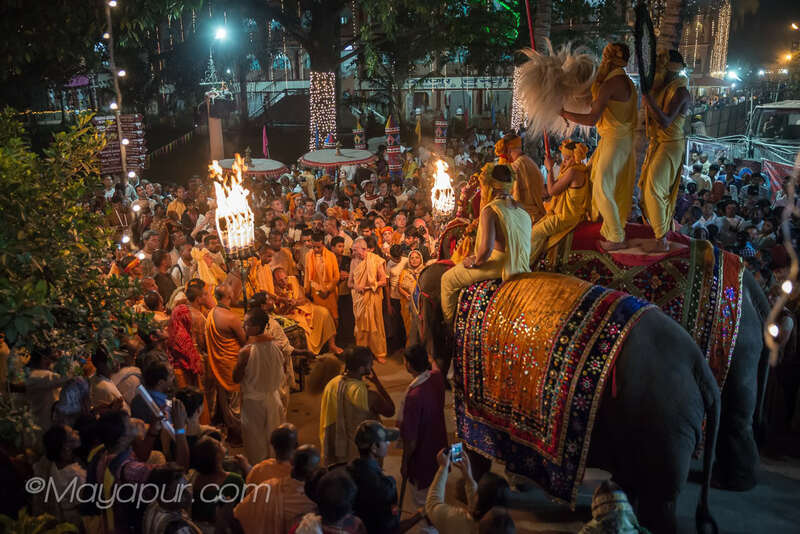 A regular hati (elephant) ceremony – carrying sacred Deities, offerings, lamps and chants by Brahman priests and students. “ India? Really? Why India?” she scrunched up her nose as she looked downwards at me, horrified and even repulsed! Why did I feel the need to defend and explain? It is indeed her loss that she has not touched the heart and soul of this impressive, soulful, raw and honest land! Actually most of the responses involve imagining exotic and exciting tours around the colours and flavours of the nature, temples and people of India. 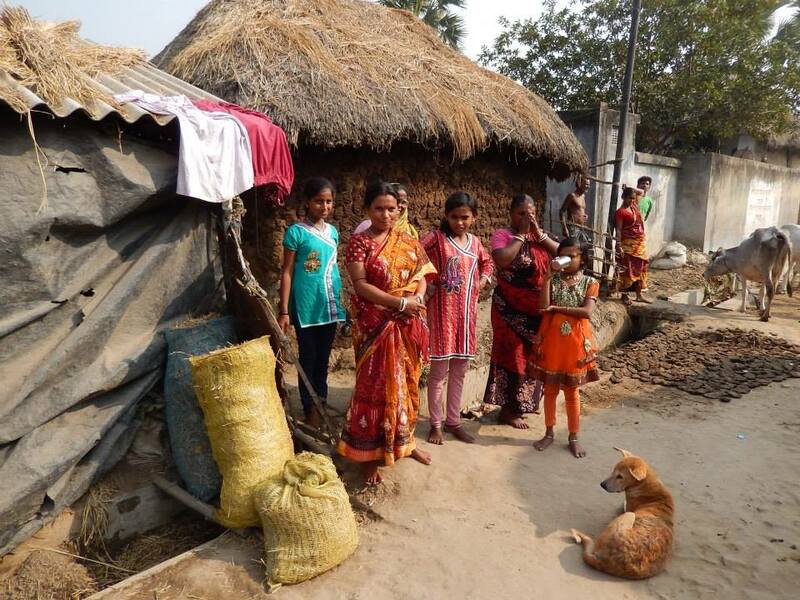 In reality there are a few reasons why India is our land of choice as a family for this time. It is where I feel most at home spiritually. 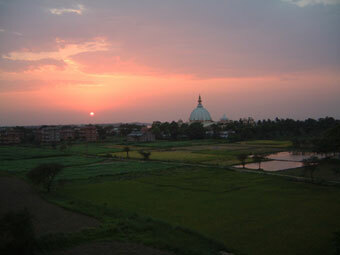 Our new home will be in Mayapur – the spiritual headquarters of our faith. And it will be a huge gift to walk, talk and eat among people who speak the same spiritual, ethical, philosophical belief systems as we do! It is a huge international community functioning as a mini-city or village with most services provided. There are many differences of opinions, ways, cultures but we all start our day meditating and praying to a Divine that we share and are all there to deepen our relationship with Him. The presiding Deities over Mayapur – Radha Krishna and 8 Gopis. .How amazing is that! The subtle consciousness threading everyone there – different ages, vocations, languages from Russia to Australia to China to Chile to Canada and Africa! Perhaps it started after I left school – as I remember travelling in the Eastern Cape – searching for traditional African healers to learn from them. I had a very strong image of myself serving the local community as a healer, not asking any fee but people reciprocating with the local produce they grew or made. I would open my forest cottage door – and outside would be the anonymous offerings that I survived on. 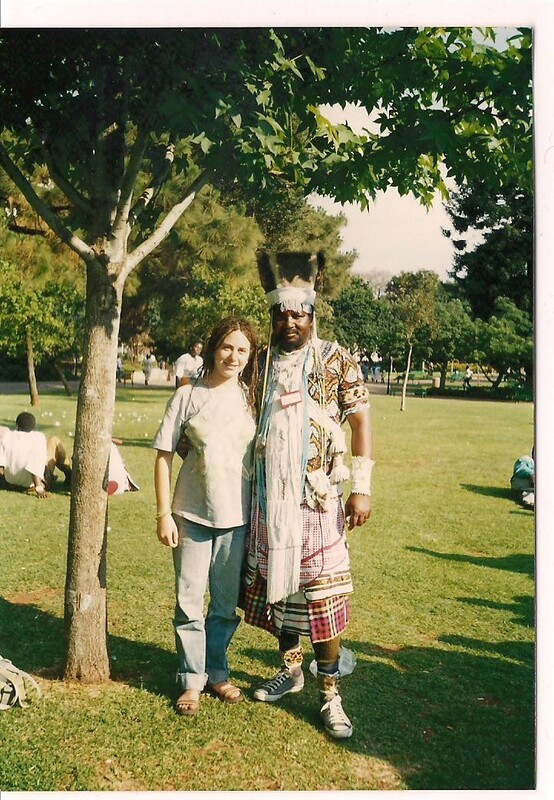 With Traditional African Healer TDr Philip Khubukele in 1995. 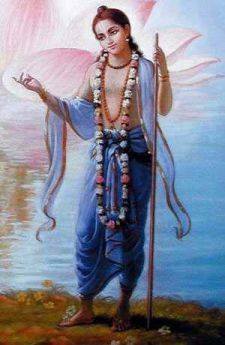 From there I went to medical school – and after my first year of studying medicine I dropped out and spent the following 7 years in an ashrama in Cape Town – learning and practicing this ancient spiritual philosophy, nicknamed the Hare Krishna movement. There I found the deep yearning of my work with healing and medicine satisfied as I felt this was healing at a soul level. By working with soul healing and transcendence, understanding the nature of spirit and matter, the goal of life, the fickle mind, the false and real ego, the material world through spiritual eyes and attending early morning meditations, making vows, hearing from saints and masters – I knew this was a depth of healing I needed to understand – for the way I needed to practice medicine. By dealing with consciousness – our intention and mood, our relationship with the Divine Person through our earthly relationships and roles – and understanding how to transform our consciousness to be spiritual and connected – we can find an inner peace and truth that can hold our hand and our heart in any mire of circumstances. And knowing this I went back to medicine, perhaps to learn the skills and techniques of the trade. Sometimes I feel I am still finding out why! Local traditional midwives (Dhais) at a neighbouring village. And after the birth of my first child in 3rd year of medschool, and taking yet another year off to be with him – I found another pearl of truth. Also to do with healing consciousness – ego, personalities, empowering empathy and growing gentle and mindful communities… I found that this all is incredibly moulded and nurtured and grown by the way we BIRTH! I realised that supporting the mother during pregnancy, connecting with your unborn child, having a conscious gentle birth and raising children with non-violent, empathic and conscious connections and relations – is key to growing conscious, connected and love-ly communities!! So when I finally finished all the groundwork – 16 years after my very first year of medicine, 2 children later – I sit with two important pearls in my heart – the power of spirit and the power of birth. 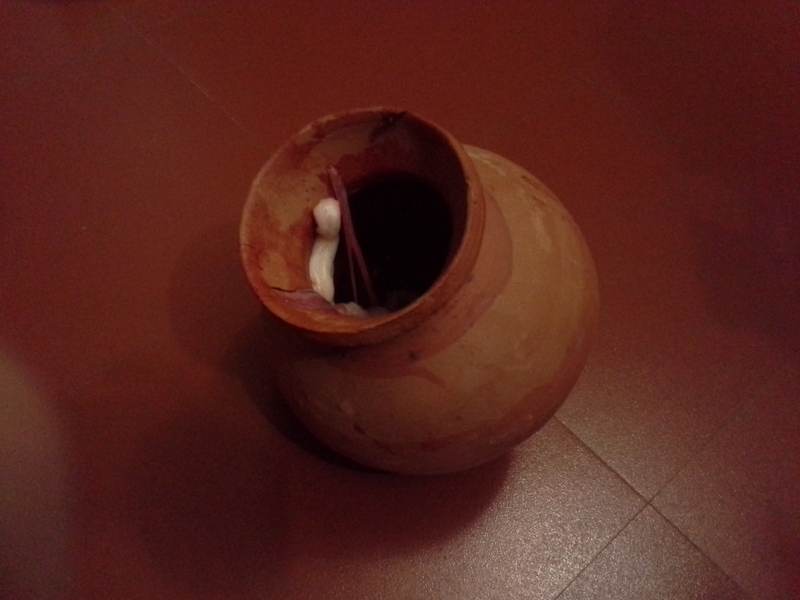 A traditional clay pot used for carrying water, food, yoghurt – used here to keep the placenta in after a homebirth in Mayapur. You can imagine my joy when I find I have the opportunity to work with women in my Spiritual community – to serve them during pregnancy and birth, to teach midwives and to live and raise my family among them. Now I am under no illusion. We have travelled to and within India as a family many times! I know India is chaotic, austere, dirty and full. 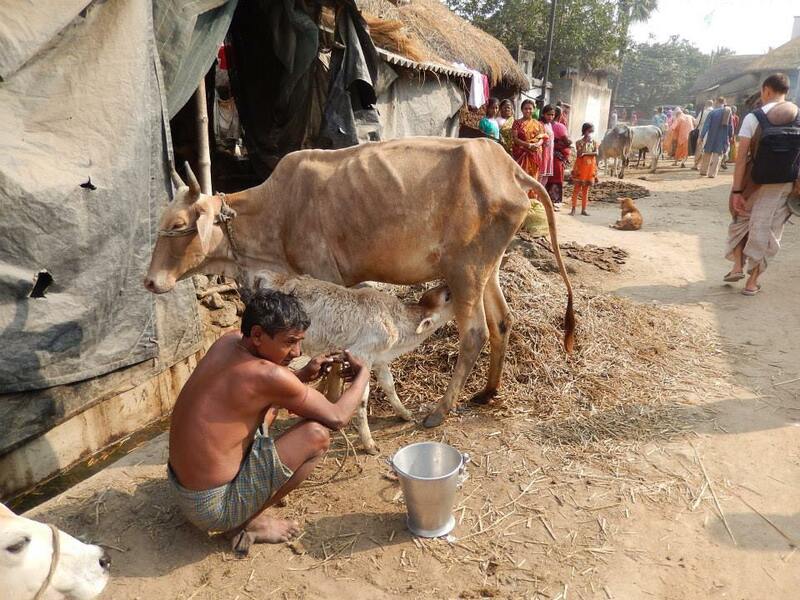 I know the villages are simple, hard-work and have very loud festivals! Mayapur is about 4 hours taxi ride from Kolkata (Calcutta) surrounded by Bengali villages and on the bank of the river Ganges. There are schools, simple shops, and services surrounding the main temple. And the community is growing as the new Temple and Vedic Planeterium is being built. What is sorely missing is supported and stable midwifery care. That is despite the regular amount of births happening within the community. Homebirths are generally preferred and the local hospitals reputations include abuse, separation, intervention in astounding and disturbing measures. My beautfiful midwife friends – sister and mother! So I am deeply excited and humbled that I will be part of a team that is supporting women during pregnancy and birth and training local and foreign locals to become midwives under an international holistic midwifery training school (called Midwife International and Birth Institute). This is a starting point and from here – we work on gaining the needed resources to have a local birth centre. And eventually even do outreach services too – to the surrounding villages (a needed venture). For me – I get to combine the threads of my being – in a service that welcomes new little devoted beings into a conscious and gentle world with love and faith! As well as to spend some more time with my own precious beings as we grow and play and love and dance! 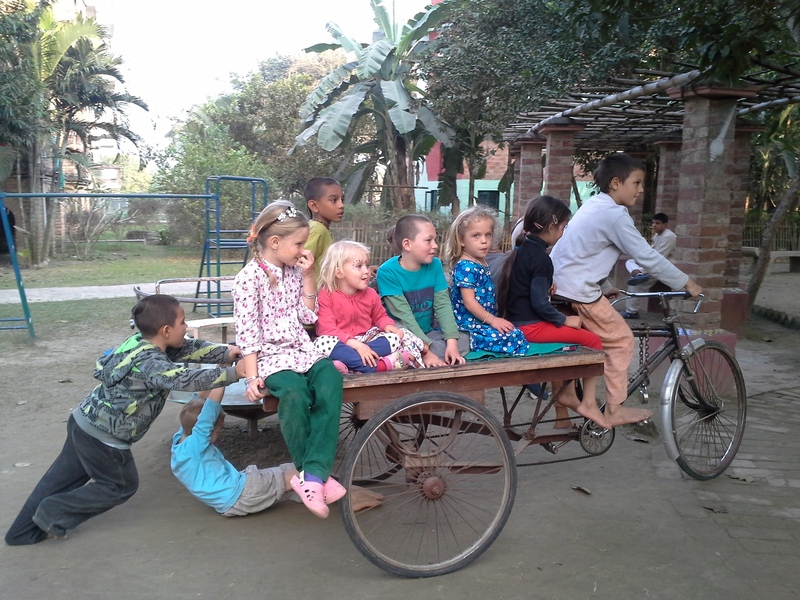 Kids having in fun in Mayapur! I know it won’t be easy. Life throws its challenges anywhere. But what else can we do with our life – than follow our soul calling? Wow! What an adventure! And how much it will benefit so many women to have you there, with your understanding and skill. Blessings on your trip and work there. It`s my pleasure to read such a beautiful, sincere, genuine explanation of this subject! I hope to meet you and your family in Mayapur in some years, as we plan to go back there for the schooling of our 2 children….. if Krishna wills! 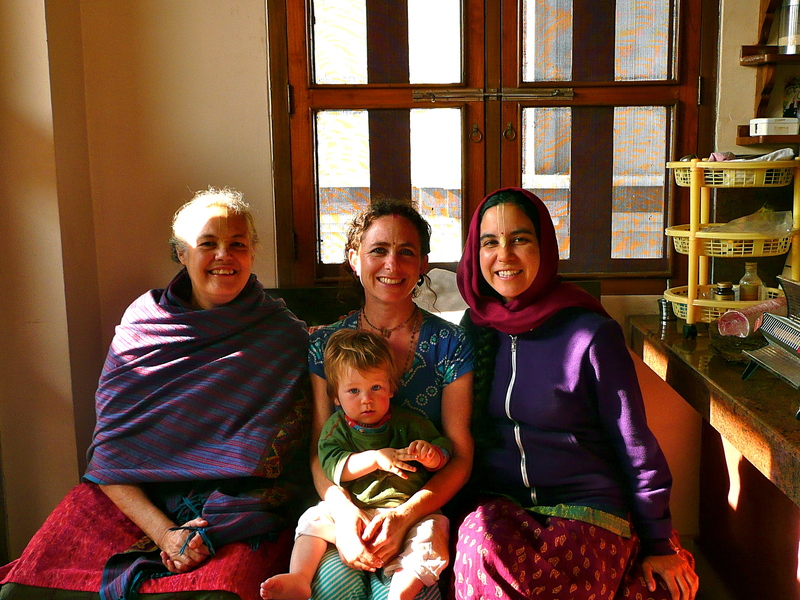 I gave birth to my first child in Mayapur and it was the best experience of my life. Your service is so much needed there and I believe the true gift to the community. My best wishes…..